Sleek and stylish, the Scott Silence 30 Women’s hybrid sports bike gives you all you need to get across the city quickly and efficiently with a lightweight alloy frame. The Shimano drivetrain delivers a huge range of gears to get you up the steepest climbs easily, while the hydraulic disc brakes offer all-weather braking control at your fingertips. The mudguards keep you clean, while the integrated lights in the stem and rack keep you seen in traffic. 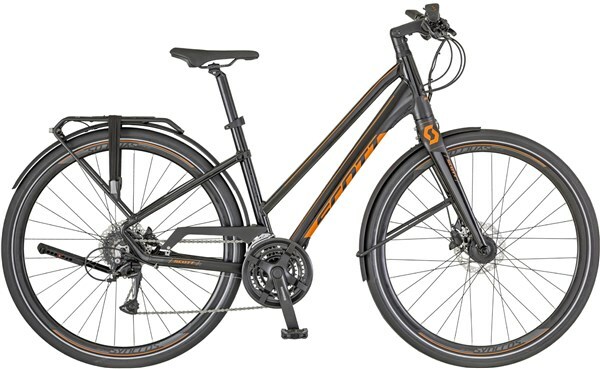 The Scott Silence 30 women’s is a modern urban bike with cool looking colours. Getting around town never looked this good.